Fabulous Masterpieces is very good at turning your precious photographs into beautiful oil paintings. See the example above. 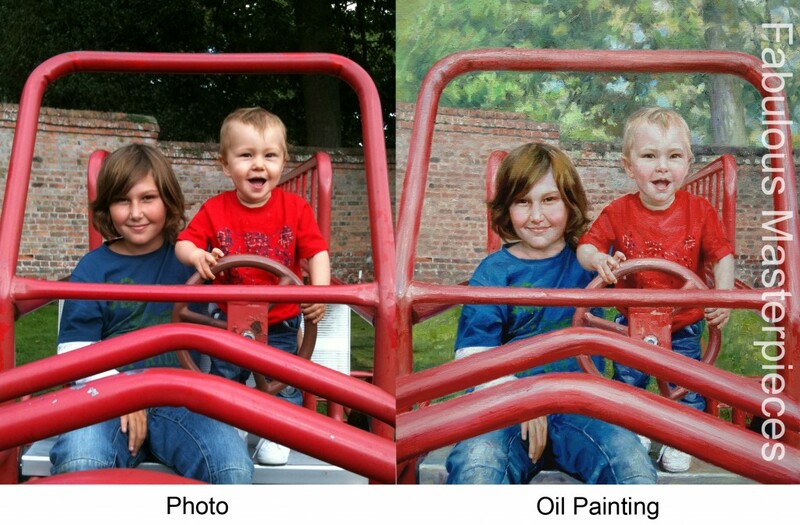 One of our clients emailed the photograph above to us and wanted an oil painting painted of his two grand-children. I’ve put our oil painting next to the photograph so you can compare and contrast. 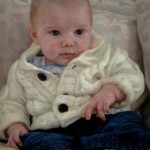 The process of commissioning an oil portrait of your children or family members is really simply. 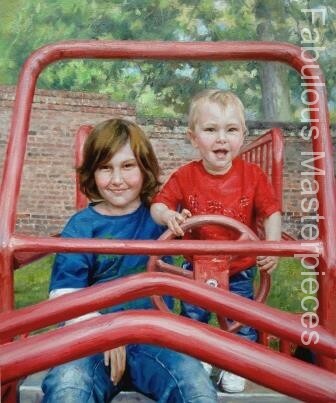 Just email: info@fabulousmasterpieces.co.uk with a photograph that you would like us to base your oil portrait on with an idea of size. We’ll then give you a quote. Your oil painting will take between 4 to 6 weeks complete. Generally 4 weeks to paint with a further 2 weeks needed for the oils to dry. Fabulous Masterpieces will then email you a high resolution photograph of your finished painting and if you would like your artist to make any slight changes then please just let us know! Once completed we will then deliver your oil painting to you.